PowerUp is committed to bringing together people who are passionate about scaling up people-power in this country. Part of that commitment is recognising that not everyone who should be at PowerUp is able to attend. As a Sydney-based conference, we recognise that the cost of a ticket, accommodation and travel can be especially prohibitive for interstate folk. We also acknowledge that the rising cost of living has put a strain on many households. For that reason, PowerUp has put aside a limited scholarship fund to help those without the means. So, if you're passionate about attending PowerUp but need some help, please fill out this confidential application. Applications will be responded to on a rolling basis every month. If you've landed on this page because you're interested in donating towards the scholarship fund, please click here. 3. Your mobile number *This question is required. 4. Your postcode *This question is required. 5. Do you identify as Aboriginal and/or Torres Strait Islander? *This question is required. 6. Why do you want to come to PowerUp? *This question is required. 7. PowerUp trains attendees in critical organising skills over two days, and encourages people to start local Action Groups as the next step. 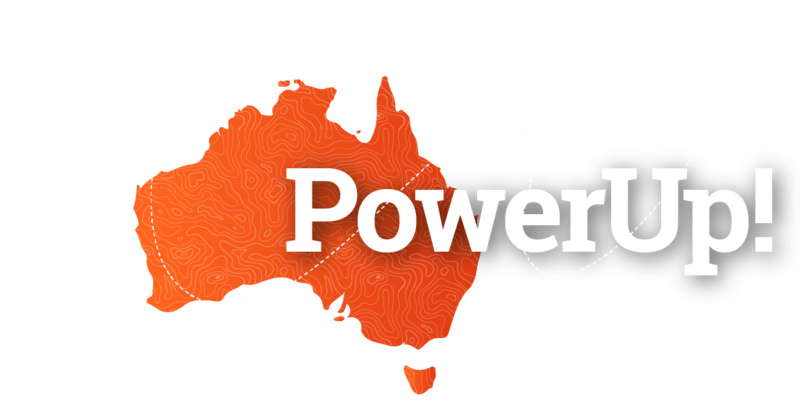 If an Action Group was formed in your electorate, what level of commitment would you give to an Action Group post-PowerUp? *This question is required. 8. We will be prioritising scholarships for people who wouldn't be able to come otherwise. Why do you need financial assistance? *This question is required. 9. Apart from the ticket, roughly how much will it cost for you to attend PowerUp? (transport, accommodation, etc) *This question is required. 10. There are two tiers of financial assistance available. Which are you applying for? *This question is required. 11. In a few special cases where it's needed, GetUp may be able to provide an additional $100 on top of the $300 + one free ticket. Is this something you might need to attend PowerUp? *This question is required. 11. Anything else you'd like us to know?